Here’s a fancy party dress from the 1950’s for a young girl. 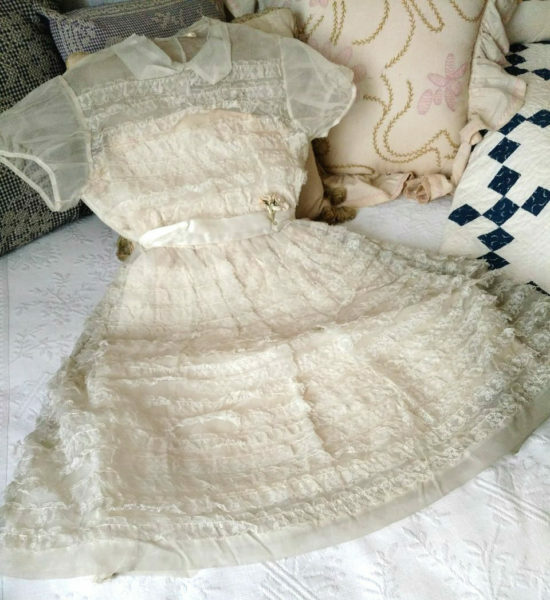 Made of white nylon with rows and rows of lace ruffles, the dress is old store stock…never worn and still with labels and tags. Guessing the size would fit a girl about 9 or 10 years of age. Suitable for costuming or movie production.